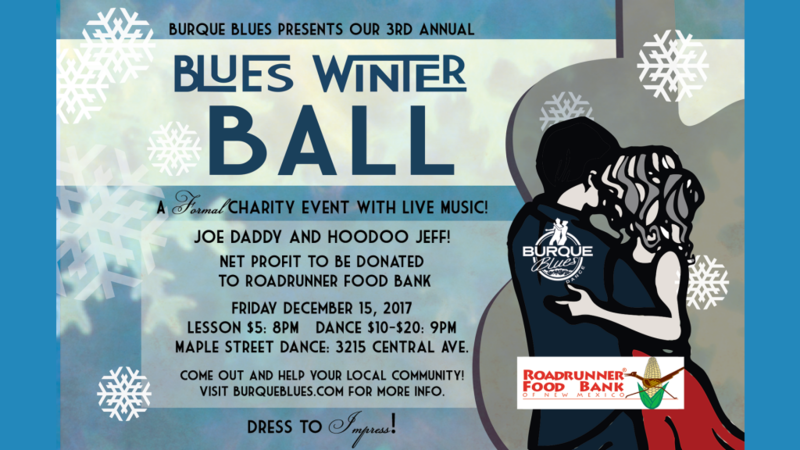 Please join Burque Blues on December 15th for our 3rd annual Blues Winter Charity Ball! We’ll have live music from Joe Daddy and Hoodoo Jeff (Los Sipe), as well as delicious food, a photo booth, and plenty of amazing dancing! 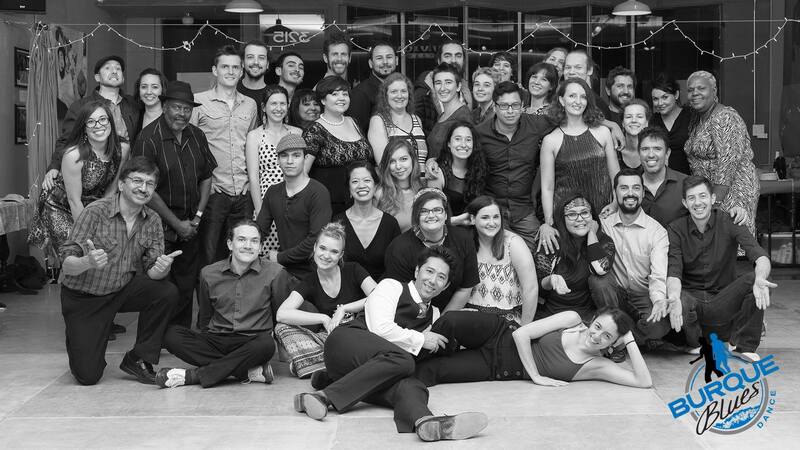 Bring your dancing shoes, invite your friends, and wear your fanciest threads – this is a formal event*! Join our FB event! This year we are supporting our fellow New Mexicans through the Roadrunner Food Bank of New Mexico. New Mexico is the second hungriest state in the nation with one in four children at risk of hunger, and one in six people of the total state population. Every dollar raised at the event will be matched by additional donors at Roadrunner Food Bank. Double your impact and help feed your fellow New Mexicans this holiday season!